The ‘fixed residences’ were hoisted by a crane and towed away only to return to their original spot. A half-baked attempt by the Armier campsite administrator to remove illegal structures backfired spectacularly after the authorities learned this was just a ploy to shift them to another part of the complex. The Planning Authority ordered the administrator to reverse the action taken that same day and put the caravans back in their original spot at his own expense. Known as mobile homes, the structures are the subject of a pending enforcement notice issued last October, which comprised a long list of breaches. The site is administered by Vince Vella, director of Adventure Camping and Leisure Limited. When the static caravans became “fixed residences”, the enforcement notice was issued on grounds that a number of structures had been placed outside the site’s footprint in breach of the planning permit issued in 2004. Other issues flagged were irregularities with respect to the approved plan, which stated that a quarter of the site had to be dedicated to camping facilities, a fifth for mobile caravans and one sixth had to be landscaped. In reality, over the years the complex gradually morphed into a conglomeration of mobile homes crammed close to each other. Around 70 people have claimed they were 'conned' into buying one of the mobile homes. Though the administrator had filed an appeal, which is still pending, Times of Malta was alerted last Wednesday that an operation to remove mobile caravans located outside the complex’s footprint was taking place. The large structures, some of which were about 10 metres in length and three metres wide, were laboriously hoisted by a large crane and then towed away. However, rather than being removed, these mobile homes were being relocated to another part of the complex. The plot thickened when, in the afternoon, the structures were returned to their original spot. 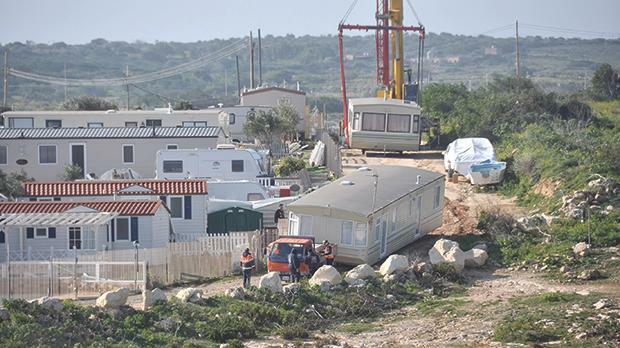 Though by the time of writing no explanation was given by Malta Campsite, the planning watchdog confirmed it had intervened. 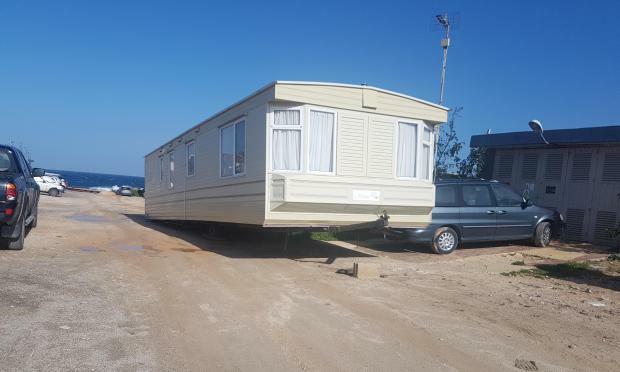 A spokesman told the Times of Malta the campsite administrator had taken the initiative to start complying with one of the infringements listed in the enforcement notice, placing structures beyond the permitted boundary. “Instead of completely removing these structures from within the site to another permissible location, the contravener simply opted to move the structures within the same site area, thus breaching the existing enforcement notice,” the spokesman said. He said that, in the circumstances, the PA informed the administrator the notice obliged him to completely remove the structures from on the site and not simply shift them to another area there, he added. 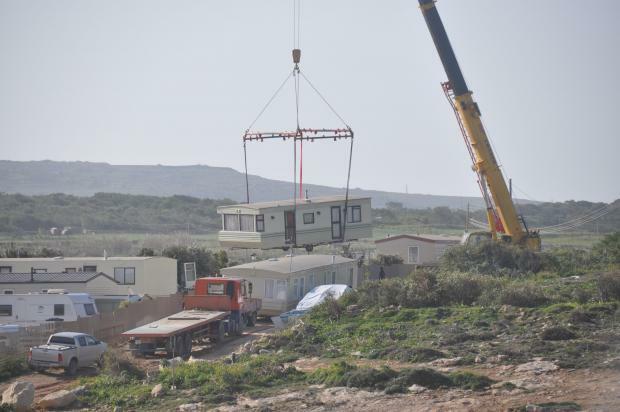 The Sunday Times of Malta reported in November that over 70 ‘tenants’ were claiming to have been “conned” into buying the expensive mobile homes costing about €30,000 each. Caravan enthusiasts reported they had been sold the structures through a written agreement, which specified a yearly payment of about €20 per square metre of leased land. They claimed they the only learned that such a deal was not allowed when the enforcement notice was issued. Mr Vella denied the claims, saying he always acted in good faith. The PA confirmed it had stepped in after getting wind of the homes being moved.